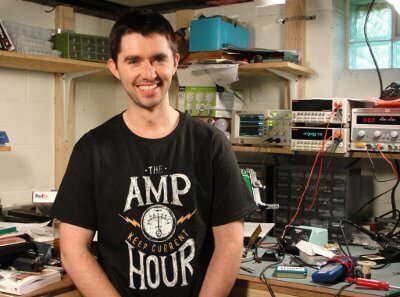 On Monday July 17th, NERP will host Chris Gammell. Chris is an analog electrical engineer and product manager. He may be known to some of you as co-host of The Amp Hour, and as the charter member of Contextual Electronics. CE offers subscription based electronics courses with different levels of project-oriented learning and personal interaction with an instructor. The Amp Hour is a non-scripted off-the-cuff format show that usually airs every Thursday evening US time. It is the worlds largest and most respected electronics oriented radio show. Discussions range from hobbyist electronics to the state of the electronics industry, components, circuit design, and general on and off-topic rants. At the NERP on Monday, Chris will present a free rendition of the Contextual Electronics course titled Shine On You Crazy KiCad. NERP has talked about the open source electronic design program called KiCAD before, but this presentation is different. It’s designed for simplicity and fast execution to give a quick win for new users who follow along on their own laptops. The course is designed as an end-to-end art-to-part experience using KiCAD. When I say quick, I mean just 20 minutes start to finish to draw an electronic schematic and then translate the schematic into a printed circuit board PCB layout. (It’s possible to spend lots of days working on a complex circuit board design…) After that, the last step in the process will be for everybody who’s following along to pack up their KiCAD PCB layout files and send them off to OSH Park to actually be made into atoms and snail-mailed back to you. Chris’s demo board is a small, but useful add-on for a Raspberry Pi. The PCB is about 1″ square, so the cost at OSH Park is very small. Even if you don’t plan on actually making the circuit, go ahead and load up a copy of KiCAD http://kicad-pcb.org/download/ so you can at least have a look and ask questions. It’s open source and free. Win, Mac, & Linux. 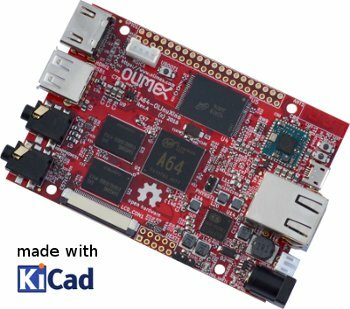 Kicad is a pretty piece of software in my opinion, and I have a few good reasons for preferring it to Eagle (KiCAD’s freemium competitor). Chris tells me there’s one thing that NERP might be able to help him with. Contextual Electronics is getting a new course for “absolute beginners” in electronics. This would be along the lines of “what do you need to know about electronics before even thinking of a course like CE”. When you first encounter a subject as broad and deep as electronics, it’s very hard to sort out the signal from the noise. You can spend a lot of effort on something that doesn’t matter while at the same time missing some small Rosetta stone or simple concept that’s perhaps in easy reach. After we move past those first trembling steps, we can forget what it was like just building a knowledge framework. To make the best connections with absolute beginners, Chris wants to hear about your conceptual roadblocks or things you wish you’d known from long (or not so long) ago, and how they resolved (or didn’t resolve) themselves. I’m sure he’ll be happy to talk about it at NERP, but consider signing up for CE and visit the Building an absolute beginner course page and add your thoughts.